Hugh Cunningham. The Children of the Poor: Representations of Childhood since the Seventeenth Century. Cambridge, Mass. : Blackwell, 1992. Pp. 283. Taylor, Brian. 1994. “Hugh Cunningham. The Children of the Poor: Representations Of Childhood since the Seventeenth Century. Cambridge, Mass. : Blackwell, 1992. Pp. 283. ”. 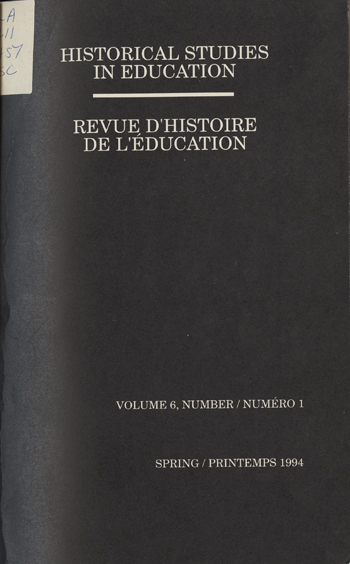 Historical Studies in Education / Revue D’histoire De L’éducation 6 (1), 133-36. https://historicalstudiesineducation.ca/index.php/edu_hse-rhe/article/view/1165.